Right now, I'm hearing the nay sayers in my mind saying things like, "You're a terrible parent." "How dare you medicate your son" "His body, his choice" "You're lazy and didn't want to try anything else" "Your son deserves the chance to be who he is without you changing him" and so on and so forth. I've been on mommy boards and I've seen the ways that mothers tear each other down. However, there are always different sides in every situation and you shouldn't judge until you've been in another's shoes. In my son's case, I believe it would have been a disservice to him and negligent on my part not to medicate him. Here's why: You can't correct a behavior that's been learned over a long period of time without some changes first. By the time our son was diagnosed, we weren't surprised. We had already had him on a behavior plan for school, but by the second grade, things were getting out of hand. My daughter had just started Kindergarten and we had just had school curriculum night where I learned that the goals the school had in mind for her for reading was what my son was doing at that moment. I was so confused. I said, "You want her to know how to read all of these books by the end of the school year?" My son wasn't even doing that in second grade. So when we went to his meeting afterwards, I asked his teacher about it and she told me exactly what was expected of him. I was dumbfounded. "Why has no one told me that he's not doing what he's supposed to be doing?" She had shrugged and told me that many of her students were behind where they were supposed to be, but they should know more than what they did. 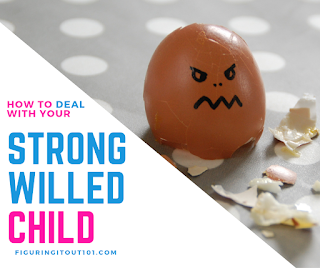 A short time after that, I had been picking my son up from school during the middle of the day because he kept having meltdowns and disrupting school. One day, I had enough of it and demanded a meeting with his social worker and whoever else he worked with. After the rather unsuccessful meeting, I asked the social worker, who seemed to be the only person who wanted to help, if he thought my son had ADHD, and he told me that he thought there was a great possibility and helped us get an assessment started right away. After we had him assessed, it was determined that he did indeed have ADHD. The question of medication was raised and we had our doubts about it. After all, all I had ever heard about medicating kids with it was that it turned them into lifeless zombies. We ended up having another meeting with the social worker, my son's teacher, and the school nurse. One of them had ADHD, themselves, and the other two had very close relatives who had the same thing. The person who had ADHD themselves said that they wished that this medication was available when they grew up. It's made differently now. The parent of the child with ADHD said that their son's transformation was amazing and the other person said that their niece had admitted to being thankful for taking the medication because she was able to focus on a task at hand and was even more creative than before because she was able to finish her art work instead of being sporadic. So, my husband and I listened to what each person had to offer for advice, asked them questions, and researched. In the end, we decided to give the medication a shot and it has been the best decision that we had made. Choosing to medicate our son wasn't an easy decision. We knew something needed to be done and before he was diagnosed, I had actually already tried a few different things to see if they helped. Vitamins- There are many vitamins that have been made for the sole purpose of focusing... In fact, one of them is called "Focus". We tried several different kinds to see if they would work. Unfortunately, according to my son, the vitamins all tasted like garbage. Essential Oils- I ordered some essential oils that were for kids with attention issues. I have a couple of friends who use these oils for their kids and they were very successful, but for my son, they were not. I tried roll ons, sprays, and even diffusers, but the smell of them bothered him. I diluted them and even tried to sneak the oils on him some how, but he always knew and would try to rub his skin off or change the clothes I'd spray them on. I don't really blame him because many of the oils have a woodsy/mothball scent and when I tried them out on myself, I didn't like them either. Diet Change- This was going to be a very difficult one to do. When he was a baby, he ate everything that I gave him, but once he started school, he became a very picky eater. He didn't want to eat anything that was good for him unless it was snuck into food in a very creative way. I did this for a while, but unless he was willing, he'd put up a fight and eventually our house was more hostile than homelike. Exercise- My child is never short on it. He's a very imaginative, rough and tumble boy. We walk to school and back every day and he moves around plenty at home. Exercise has been huge in treating ADHD, but unfortunately, schools have lowered the time for recess. I feel like as a kid, we played for such a long time, but now, kids are lucky if they even get 20 minutes of recess. If it's a rainy day, recess becomes indoor and I learned that my kids are supposed to have tablet time for indoor recess. Once I found that out, I spoke with my son's caseworker and together we won that fight and now the kids get to walk around and fidget during that time, but it's still not the same as when we were kids. School officials have lost focus on many of the important aspects that come with educating our students and have focused more on the numbers because it brings them more money. As parents, it's our job to advocate for our kids, so when you see something that you don't agree with, please find a way to stand up for your child. We went and saw my son's doctor. She was very impressed by the research that we had already done and helped us find a good dosage and treatment for our son. After many tries, we found one that worked with a method that worked. With just a few side affects, (dry mouth and loss of appetite- both that he got over) my son has finally learned to read, write, and has caught up with his class. He learned two years of schooling in one year and the symptoms that we feared, never happened. My son didn't become a zombie, instead, he was the same boy that he always has been, except now, he listens better and he's able to have conversations without going off onto tangents. With his medication, he'll sit down and draw or write a story instead of bouncing off the walls or constantly trying to wrestle with his siblings. Instead of getting into trouble, he'll create a play that he and his siblings will act out. We always knew that he was smart, but now his work and grades show that, too. It no longer takes us two hours to do his homework and I rarely have to ask him to do it because he hops right to it when he gets home. Now that he listens and behaves better, we might be able to try the other methods as ways to get him to focus, because now he eats what is given to him and he does as he's asked. The bad behaviors that he picked up when he wasn't able to focus have been done away with, so perhaps he'll try those vitamins or try those oils. He most certainly eats better than he used to. The medication has never hindered him in any way. In fact, it brought out the best in him. It's made us so proud to see the charts where his academic progress was once below the below average line and has now skyrocketed to the average and above average line on his reports. It would be like your child having all Ds in school and then within a year's time them going from a D student to a B student. How awesome is that?!?!?!? I'm not going to tell you how to parent your child. I'm not a doctor and I won't give you any medical advice. Ultimately, the choice of how to raise your child is up to you, but I will say, don't knock medicating your child because of how medicine used to be. We almost decided against it because of the horror stories that I used to hear about kids with ADHD. Unfortunately, having ADHD has had a negative connotation about it and it shouldn't be so. I think it's because it's still a newer concept and when it was being treated before, years ago, doctors and drug companies were still figuring out the ups and downs to every medication being made. Just like how we know that some medications and foods are bad for pregnancies, doctors have now found new ways to make medication so that it targets what it needs to in the brain and leaves the rest of it alone. Now we don't have kids hyped up or drugged out on Ritalin. Things have changed and for my son, it has definitely changed for the better. So do your research. Find out what works best for your child, and if it doesn't work out, try something different. Thank you for being so honest about this. I think it is great that you took the time to figure out what was best for you and your family which is all that matters. It is so hard to do I feel like since everyone wants to have opinions on thinks like that but your post was super eye opening! I chose medication first also for ADD, which folks now say is the same as ADHD but I beg to differ. Ritalin 'zombified' and that was the only thing that was offered at the time, so went with a very regulated schedule and learning coping skills. In the end, you know what is best for your child. If the medication had changed him for the worse, we would have stopped. We give him breaks from it on the days he doesn't have school and sometimes those days are just the worst. Lol. My brother was first diagnosed with ADHD but we found out he had Asperger. He was heavily medicated when he was little and it didn't really help him (but my dad was in the military and was always called to duty, which didn't help my brother). But, he is now happy and thriving with out meds.It just depends on the person when it comes to meds. I most likely also have ADHD and it's something that I learned to cope with. I hope that he may outgrow the need for it, but before the medication, my son couldn't even behave well because he'd get so worked up that nothing would make sense. The thing about parenthood is that you have to make decisions that best fit you and your family. That's also the beauty of it! What works for you may not work for everyone else. Good job for doing what you need to for your son! Thank you! I think that there will definitely be a time when he will not need it. With so much judgement these days I think it's brave of you to be honest. There is no one answer is right for everyone. We don’t have to judge other parents. I admire you for sharing this. We all have some struggles and challenges but we have to be strong. Thank you. Yes, we do have to be strong! First, I cannot believe parents judge other parents on what they think is best for their kids. I am a mom of 5 and it really angers me when parents think they are the judge on what other parents do in the care taking of their children. Second, one of my 5 kids is on the spectrum for ADHD. I understand what you experienced. 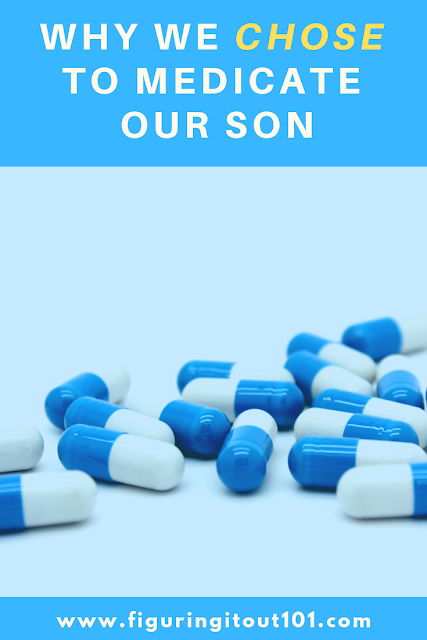 I understand why you chose medication for your son. I am so glad to hear that it is working very well for him. We are still trying to figure out what will work for our son. Feel free to add me as a friend on Facebook or follow on instagram if you need another mom in your corner for support and encouragement. Thanks for sharing your exprience to us. It will give some parents who has similar situation to consider what to do too. I love your approach very much. This has been an on again, off again struggle for us too. Our son is 10 and was diagnosed with ADHD when he was 5. We medicated and then tok him off in 3rd grade and then struggled with the decision to put him back on medication in the 4th grade when he was starting to struggle again. I love your way of approach. Thanks for sharing your experience with us! Thank you for sharing your story. Not all people have the courage to do so. I wish your family well.